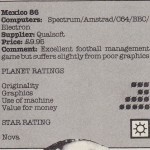 Mexico 86 was a world cup management game by Qualsoft which saw a release on both the Amstrad and Spectrum (http://www.worldofspectrum.org/infoseekid.cgi?id=0010592) but apparently was planned for the C64 too. We have very little else to go on, but this is the rumour, so we have added the entry for now. We can’t see why the C64 would have been fully excluded from any conversion and it would have been simple enough to convert too. 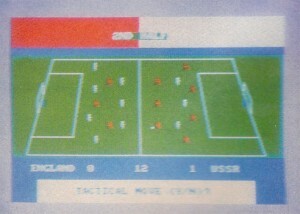 The game was actually reviewed in Computer Gamer June 1986, and the C64 format was listed. 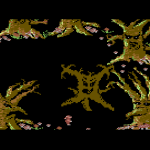 There was also a screenshot which looks pretty much like a C64 shot with the distinctive light blue border, but this was confirmed by Mauricio Muñoz Lucero as from the Amstrad CPC version. We have added the review in a scans section. 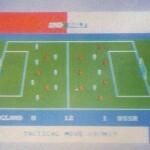 The game is fairly obscure, as it seems that it was Mail Order only. Could the C64 version have sold in limited numbers? What is a bit strange is that Qualsoft rebadged the game in 1990 under the name of "Rome 1990". In the very similiar adverts, the C64 version was not on the order list! 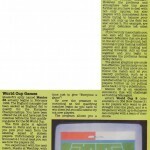 Maybe they hit problems originally with the C64 version? A lot more research required for this one, but maybe you know something?